Hello! I collect tokens in Battlefield 1. Recently, I'm trying to run a match in Battlefield 1 Incursions. But nobody plays. Sometimes there are current matches, but where do they come from if there was no one else in the queue besides me? Help me run the match. This is necessary to get the dog tag in the main game Battlefield 1, which is given for participating in Battlefield 1 Incursions. 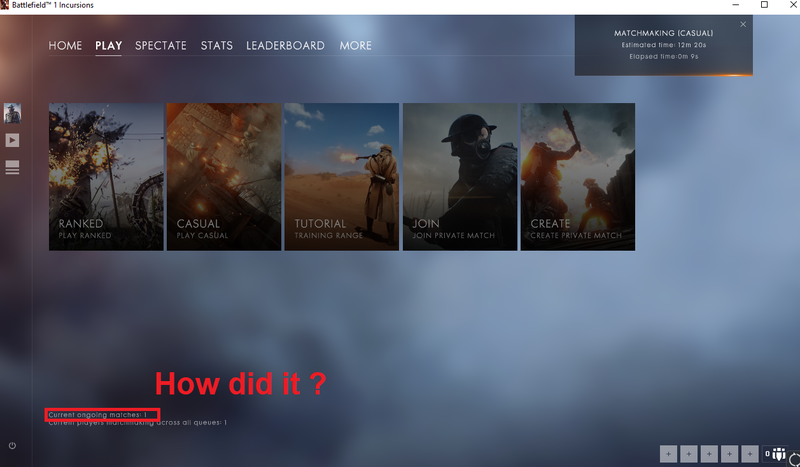 I moved your topic to Battlefield 1 Incursions section.